This is a production-ready, upgradable to latest HANA SPS version (by Addon), single-tenant configured SAP HANA database instance. Perform real-time analysis, develop and deploy real-time applications with the SAP HANA One. Natively built using in-memory technology and now deployed on AWS, SAP HANA One accelerates transactional processing, operational reporting, OLAP, and, predictive and text analysis while bypassing traditional data latency & maintenance issues created through pre-materializing views and pre-caching query results. Unlike other database management systems, the SAP HANA One on AWS streamlines both transactional (OLTP) and analytical (OLAP) processing by working with single data copy in the in-memory columnar data store. By consolidating OLAP and OLTP workloads into a single in-memory RDBMS, you benefit from a dramatically lower TCO, in addition to mind-blowing speed. Build new, or deploy existing, on-demand applications on top of this instance for productive use. Developers can take advantage of this offering through standard based open connectivity protocols ODBC, JDBC, ODBO, ODATA and MDX allowing ease of integration with existing tools and technologies. Before you launch the SAP HANA One instance, please make sure you are familiar with AWS console, read FAQs, Quick Start Guide, and understand the cost model. Cannot connect to SAP ERP backend . For details check section 2.6, 2.7 of EULA. We encourage you to reach out to the SAP HANA One community when you have any questions. 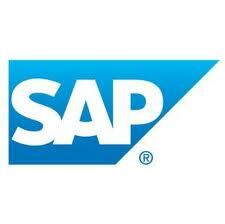 SAP HANA SPS12 Rev122: Configured as single Tenant database. Transform decision processing by streamlining transactions, analytics, planning, predictive and text analytics on a single in-memory platform. Default 'ec2-user' SSH login: HANA One instances are now more secure with SSH root login disabled. Customers can now login to the instance using the new 'ec2-user' user. Manage multiple HANA One instances: manage multiple HANA One instances from single instance, message SAP HANA One team directly, lauch products from product launch page. HANA upgrades are available through Addon manager on management console.